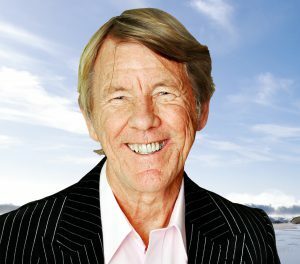 Uneståhl started the Swedish model of Mental Training (IMT-Integrated Mental Training) in 1969, after 10 years of research around “alternative states of consciousness” and “Mind-Body-issues” at Uppsala University. During the 70’s he developed the practical Mental training programs together with the Swedish National and Olympic Teams. At the Olympics in Montreal in 1976, he was the only Sport Psychologist and Mental trainer in the Olympic Village. In the 70’s and 80´s Uneståhl was invited to introduce the “Swedish model” to many countries around the world, Australia, Brazil, Canada, China, Japan, Korea, US and many countries in Europe. A number of studies started in 1975 to investigate the effect of Mental Training in the educational system, from preschool to high school level. After 6 years of research with surprisingly good results, it became part of the national curriculum. This created also international attention and Uneståhl was invited as a visiting professor to Flinders University in Australia to introduce the Swedish model in 80 Australian schools. During the 1980´s the application of Mental Training developed in to Worklife, Business, Relationships, etc. Over 50 % of the 100 biggest Swedish International companies have used Mental Training in some form. Another important area of application became the “Health area”, with programs for behavior change such as Smoke freedom, Weight regulation, Sleep improvement, and for emotional control like Phobias, Anxiety disorders and various stress reactions. IMT was also used as a “complementary medical method” in areas like cancer, preparing mothers for delivery, Preparation for – and post-effects of – surgery, Recovery after Sport injuries, etc. IMT was also shown to be effective in the treatment of tinnitus and chronic pain.